Running is free, you can do it anywhere, and it burns more calories than any other mainstream exercise. 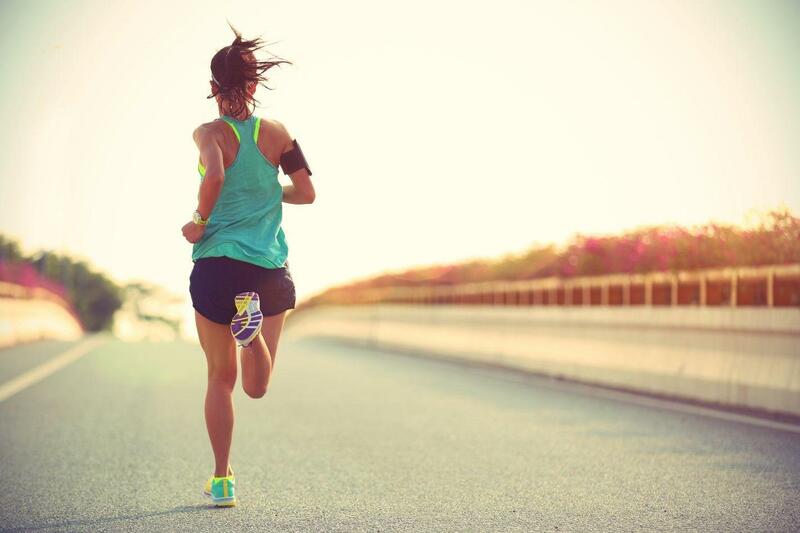 Regular running can reduce your risk of chronic illnesses, such as heart disease, type 2 diabetes and stroke. It can also boost your mood and keep your weight under control. I have put together this guide to make running a safe and enjoyable experience for beginners, and to provide you with tips on how to stay motivated. If you’ve not been active for a while, you may want to build your fitness levels gently with walking before you move on to running. Women should also consider using a sports bra, which is sturdier than a regular bra and provides additional support. If you feel out of shape, or you’re recovering from injury or worried about an existing condition, see your GP before you start running. The NHS have a great programe called Couch to 5K which is designed to get just about anyone off the couch and running 5km in nine weeks. Whatever your level, setting challenges is useful to stay motivated. Training for a race, such as a 5K, or a charity run is a good way to keep going. Join local running events or groups such as parkrun. It really helps to have someone about the same level of ability as you to run with. You’ll encourage each other when you’re not so keen to run. You’ll feel you don’t want to let your running partner down, and this will help motivate you. Find a running partner on realbuzz or JoggingBuddy. Keep a diary of your runs. Note down each run, including your route, distance, time, weather conditions and how you felt. That way, whenever your motivation is flagging, you can look back and be encouraged by how much you’ve improved. Check out realbuzz’s running blogs. Keep your running interesting by adding variety. Running the same route over and over again can become boring. Vary your distances, pace and routes. Use realbuzz’s route planner to find, record and share your favourite running routes. A running club is the perfect way to commit to running regularly. Most clubs have running groups for different levels, including beginners. Clubs are also a great way to find running partners to run with outside of club sessions. Find a running club near you using RunTogether. *Disclaimer: Recommendations and links in this post are my own and I have not been asked our paid to make any recommendations.